Why drink your calories when you can eat your calories? All the deliciousness of a bloody mary on a stick. In a large bowl, whisk vodka, Worcestershire, hot sauce, and lemon pepper. Add tomatoes and celery to the bowl and let soak in refrigerator at least 2 hours up to overnight. Once ready for assembly first cook bacon until crispy in a large nonstick skillet over medium heat (tip: or try baking in the oven!). Drain on a paper towel-lined plate, then cut in half. 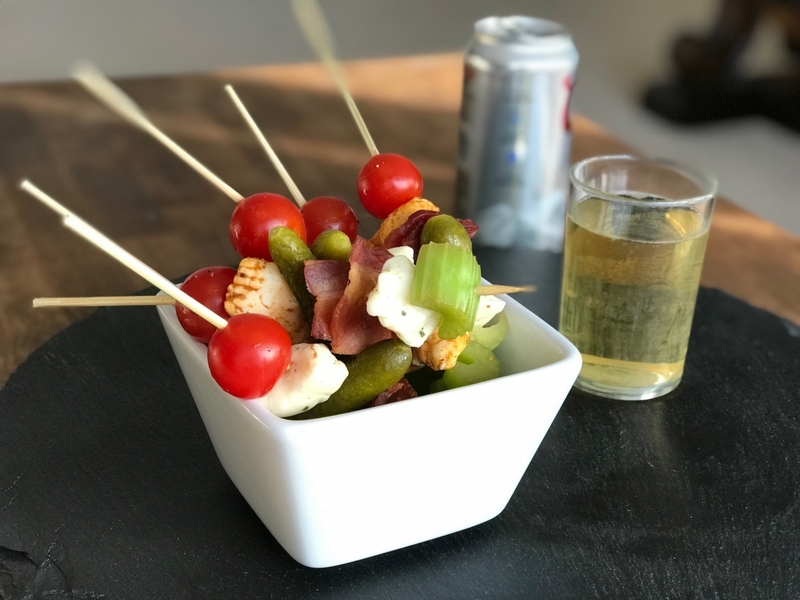 On each skewer, skewer bacon halves, soaked tomatoes, celery, your Ellsworth cheese curds, and a pickle. Refrigerate until ready to serve. Don't forget the beer chaser!